The neighborhood of Reseda is located in the San Fernando Valley north of the 101 Freeway. Founded in 1912 on land that was originally part of the San Fernando Mission, the town got its name from the fragrant smelling plant, “Reseda odorata” or mignonette, which was commonly found in area gardens at the time. Early in its history, Reseda was primarily an agricultural community, but after World War II, the town experienced a population explosion with a large influx of families moving into the area, making it one of the most popular as well as populated of all the Valley communities. Reseda became one of the first suburbs in the San Fernando Valley along with other nearby Valley neighborhoods such as Encino, Sherman Oaks, and Tarzana. The economy of Reseda has had its ups and downs due primarily to the affects of two major earthquakes that hit the area, The Northridge Earthquake of 1994 and the Sylmar Earthquake of 1971. The Shops at Encino Town Center, Encino Place, and nearby Northridge Fashion Center provide the residents of Reseda with a wide variety of stores for all of their shopping needs. Reseda is located within driving distance to a number of beautiful parks such as Lake Balboa/Anthony C. Beilenson Park and the Westridge-Canyonback Wilderness Park. The Reseda Park and Recreation Center has bbq pits, basketball courts, a baseball diamond, lighted volleyball courts, and other amenities including an ornamental lake for fishing and a large duck pond. The center offers a variety of sports programs and classes. If you live in Reseda and find yourself in need of legal help, there are many local attorneys from which you can choose. However, Greg Yates, personal injury attorney in Encino, CA, is considered by many to be the best attorney for personal injury cases in the L.A. area. 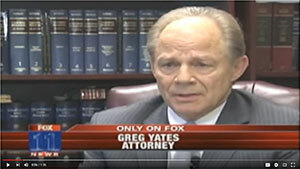 Greg Yates has been successfully representing victims in personal injury cases for more than 40 years. 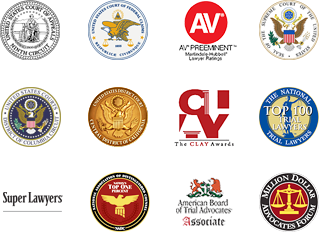 Whether it’s a small or large case, Greg Yates dedicates himself to achieving the best possible outcome for his clients through negotiated settlements, jury verdicts, or awards which is why he has one of the highest success rates in the state of California. Call our Encino office to schedule your free consultation.